Catering can make or break your event. SA Conference caught up with MasterChef South Africa judge Chef Benny who shared his tips for successful catering. Mornings: Instead of big fruit, hotels offer strawberry skewers, pastries, cupcakes, muesli and yoghurt. It is all about healthy light food. Tea break: In the past, at tea breaks, sandwiches were served. Now, hotels offer freshly baked biscuits with tea or coffee. If sandwiches are to be served, a great idea is for delegates to choose their own fillings. The chef can make it for them, while they wait. Lunch: Venues have action stations with the chef cooking the meat. Starch is also served on the tables with the salads. Afternoon tea: Try sorbet stations as you give your delegates something sweet that will boost their energy. Definitely show cooking. This entails the chef showcasing his skills to guests by preparing their food in front of them for their entertainment. Some hotels have big windows that show the kitchen with the food being prepared, and this is also to show the guests that their kitchens are hygienic. Cape Town hotels also offer tasting sessions. Seven-course meals are served in small portions. This is a teaser of what the restaurant has to offer and gives guests a chance to have an idea of what to order the next time they eat at the hotel. Chefs are sourcing ingredients that are sustainable. Doing the same thing and not coming up with new innovative ideas. Conference centres must be clever about what they serve and know the benefits of what it has to the person they are serving it to. What are your top tips for catering? Know who you are catering for and be knowledgeable about the dishes you are cooking. Presentation is very important, the more creative the better. Use fresh produce and action cooking stations to display your skills. Use different ingredients and play with colour. Just don’t over garnish the meal or touch the food too much that it becomes unhealthy to eat. What are some budget busting conference catering ideas? Source local produce and use seasonal ingredients. Have a relationship with your supplier as they will always advise on the fresh produce and give you lower prices. What has been one of your most difficult catering challenges? I had to cater for 1 004 people in an outdoor venue in Cape Town. The challenge was preparing different main courses with little time. We had to pull all our resources together and it worked out in the end. I get a lot of requests for my grilled lamb chops with deep fried pap, cream spinach, crushed nuts with chilli and red wine source. I wanted to be an engineer but there was no money to send me to university so I helped my mother who had a catering company. In 1999, I graduated from Natal Technikon with a diploma in Catering Management. I then joined the Hilton Hotel in Durban as a trainee and gained valuable experience. I then toured the world to promote local food at events hosted by South African embassies. I then joined Tsogo Sun in 2006. Affable, easy-going, yet possessing an impressive wealth of professional culinary expertise, Chef Benny is the quintessential people’s person, a master of his craft who acknowledges his roots even as he continues to impress his most exclusive and discerning patrons. 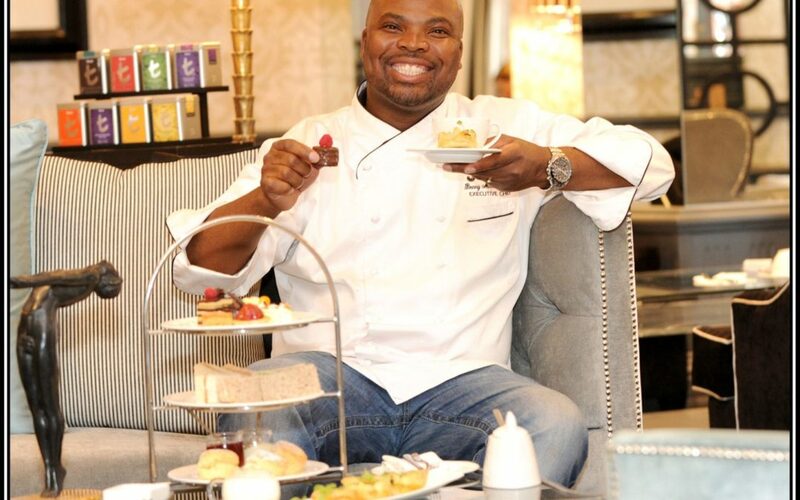 Chef Benny, Tsogo Sun’s very own celebrity chef, rose to fame as a judge of MasterChef South Africa. 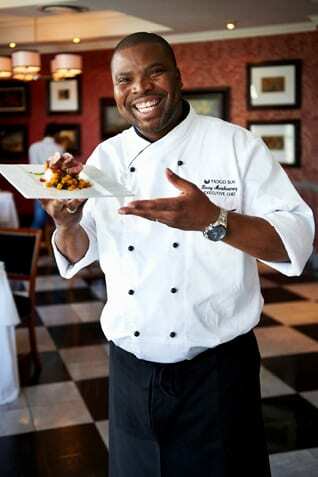 He is passionate about the flair and quality of South African food, and believes that South Africa’s offerings are on a par with the highest international standards.